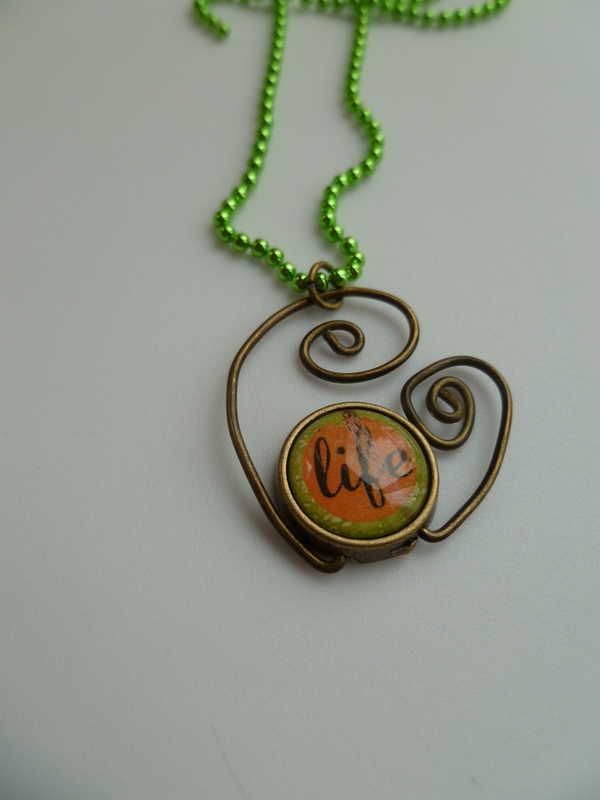 “Verdant Life” pendant. 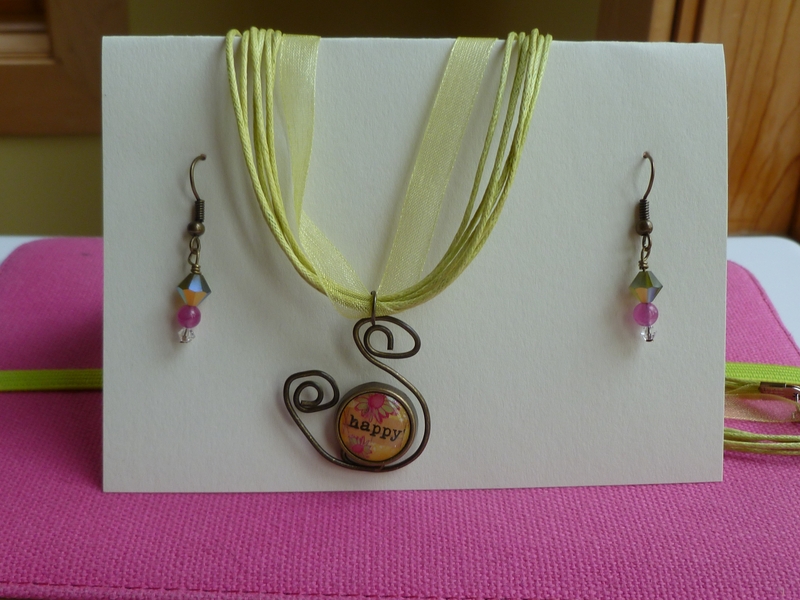 Antiqued brass finish wire, spring green ball chain. 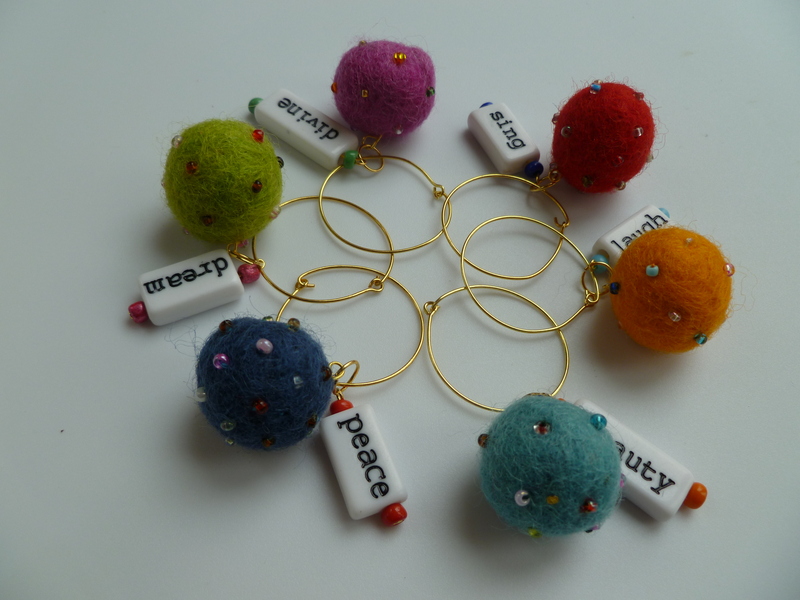 Beverage charms that will make you feel as good as your wine does 🙂 Fuzzy little felted wool balls adorned with glass seed beads paired with positive-thoughts-type word charms/glass seed beads, all on gold-toned hoops. 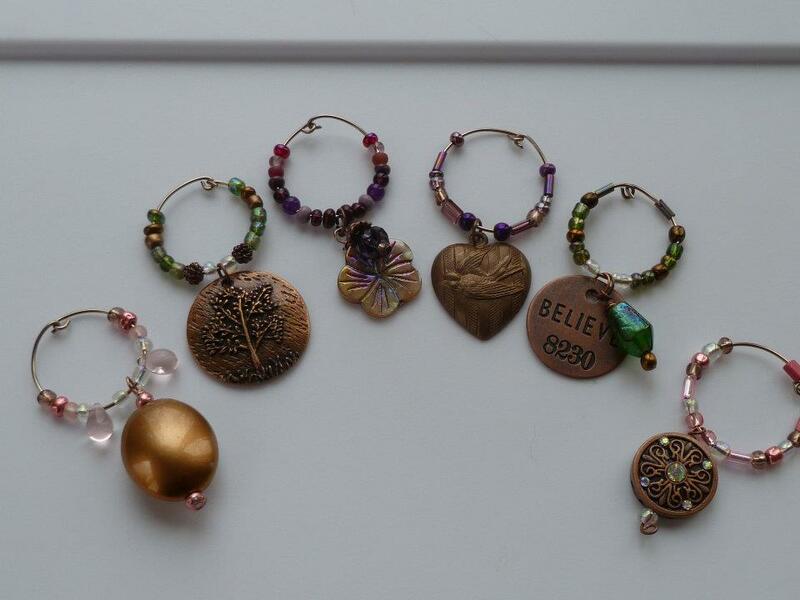 Custom designed copper-themed set of wine charms. 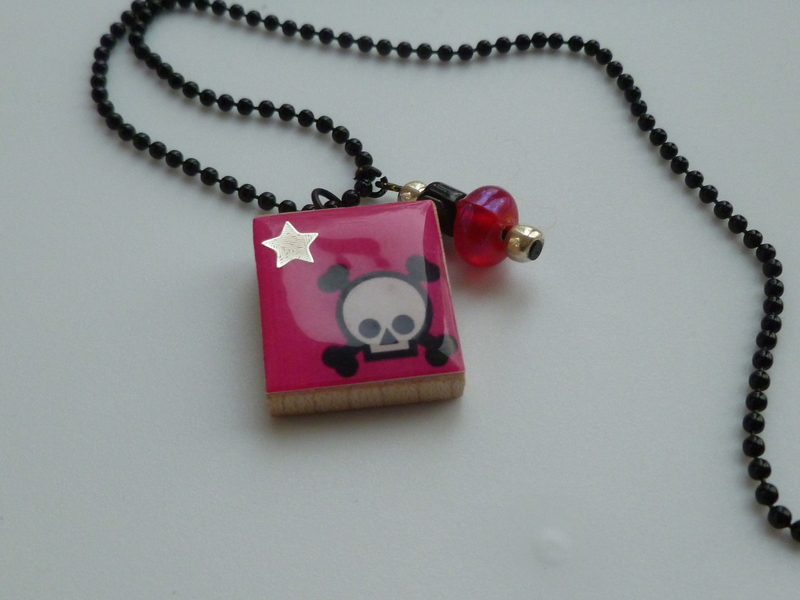 Charms are a mix of metals and glass, hanging on copper wire, surrounded by glass and metal beads. 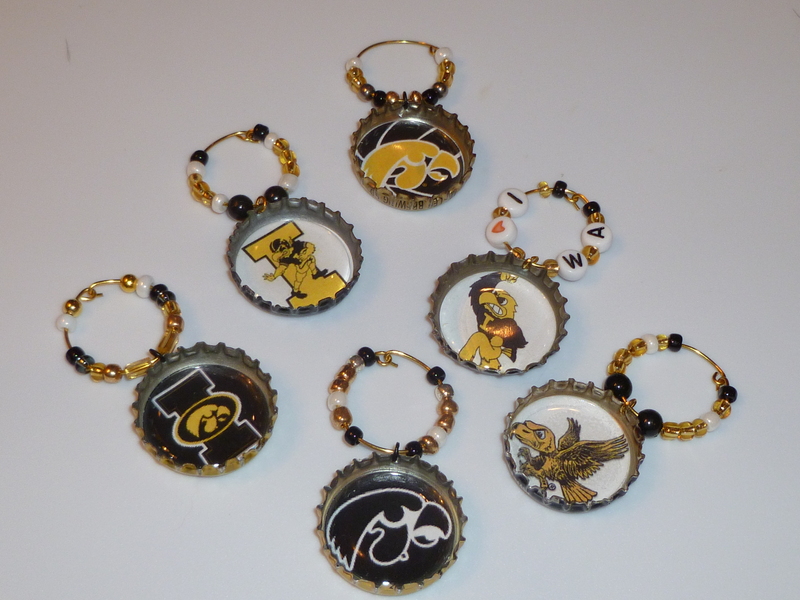 “Go Hawks” bottle cap wine charms (hoop-style charms). 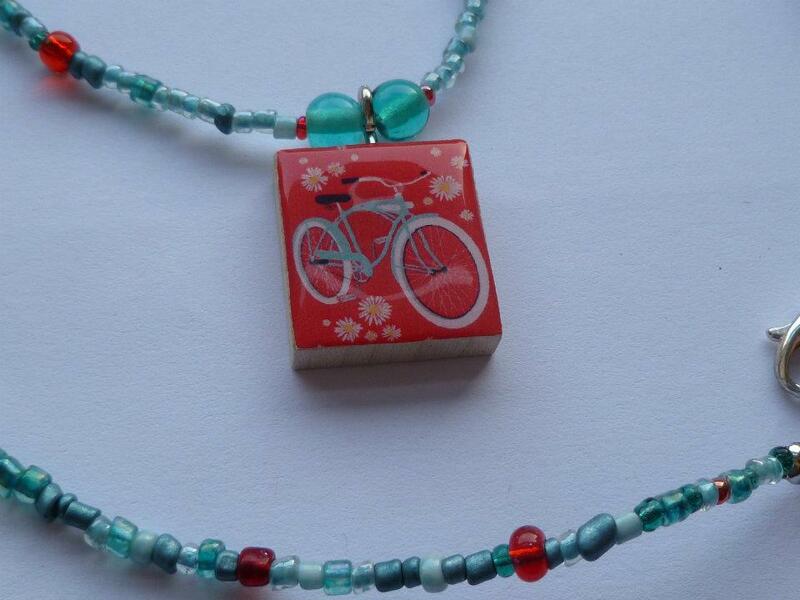 All bottle caps are real, upcycled caps–not the store-bought blank kind–so there may be slight variations in your cap from what you see. 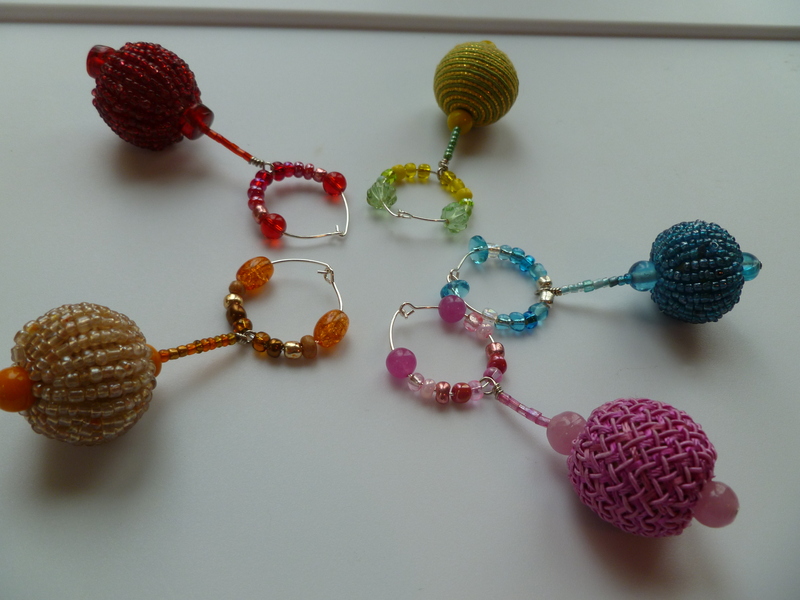 Beads are primarily glass seed beads. Gold wire. 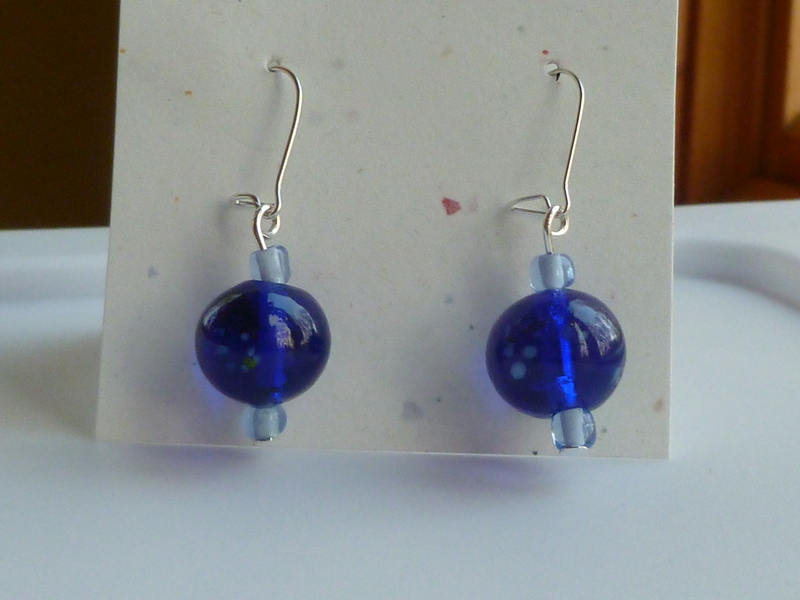 Dress them up (office, night out, cute sundress, you name it) or dress them down (Hey! They match your Jared Allen jersey! ), your choice. 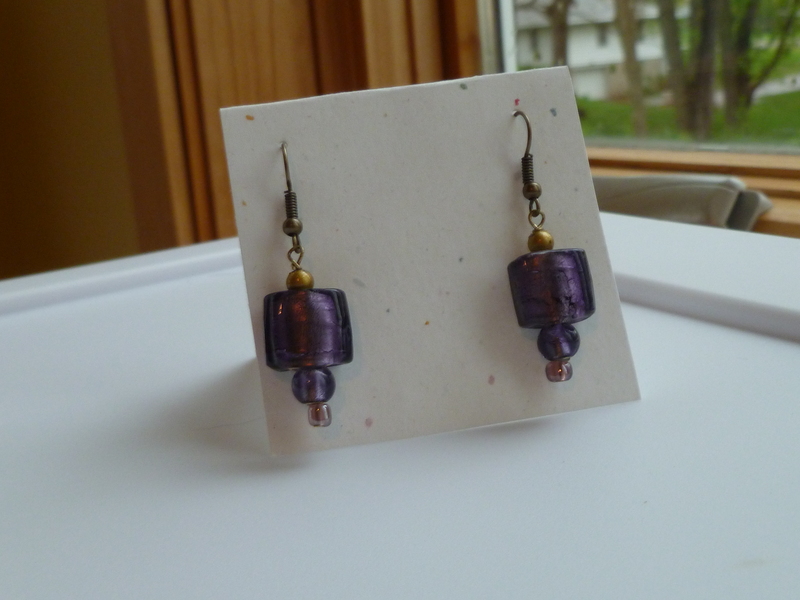 Antiqued brass/gold finish earrings, glass beads in gold and purple hues.